The Castle of Castelnaud-la-Chapelle is a perfect example of a medieval fortress. 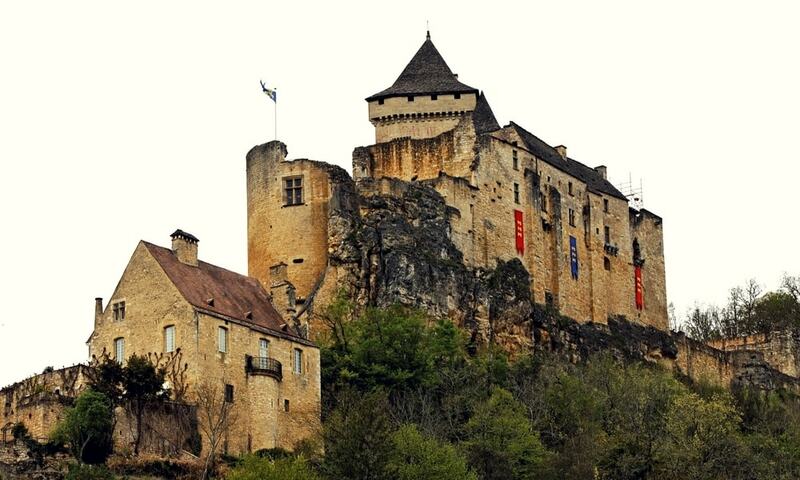 It was built in the late 12th century to face its rival, the Castle of Beynac which stands across the Dordogne River. The castle has a picturesque setting on the side of a hill and offers magnificent panoramic views over the Dordogne Valley. Castelnaud has had a very turbulent history. Its original castellan was Bernard de Casnac, who supported the Cathars. Catharism was a Christian movement that developed in some areas of Southern Europe, between the 12th and 14th centuries. The Cathars are remembered for a prolonged period of persecution by the Catholic church which did not recognize their belief as truly Christian. Bernard got chased away by the Albigensian crusade of Simon de Montfort who installed a garrison inside the castle. However, Bernard was able to retake the fortress one year later. It was then burned on the orders of the Archbishop of Bordeaux and had to be rebuilt in the 13th century. During the Hundred Years War, the castle was in the hands of the Caumont family who owed their allegiance to England. As a result, Castle of Castelnaud was part of English ruled Aquitaine while on the opposite side of the river, Chateau de Beynac was in French hands. The castle changed hands several times during the war until a final French siege in 1442 cleared the situation. After the Hundred Years War, the Caumont family renovated and enlarged the castle, adding new rooms and enhancing the defenses which were still the key priority. During the French Wars of Religion, the Caumonts became Protestants. Although they chose to side against the Catholics, the family was too feared and the castle to well defended for anyone to risk an attack. However, the castle was gradually becoming unsuitable for everyday living and the family elected to move south, to the nearby Castle of Milandes. Abandoned and neglected, the castle slowly turned into a ruin. During the French Revolution, it was used as a source of building materials in the neighborhood. Today, the Castle of Castelnaud-la-Chapelle is fully restored and it is now the most visited castle in the south-west of France. It houses an impressive collection of medieval weapons, featuring full-scale reconstructions of siege engines and other medieval war machines. Visitors can get a glimpse into castle life in medieval times and watch how military warfare was conducted. 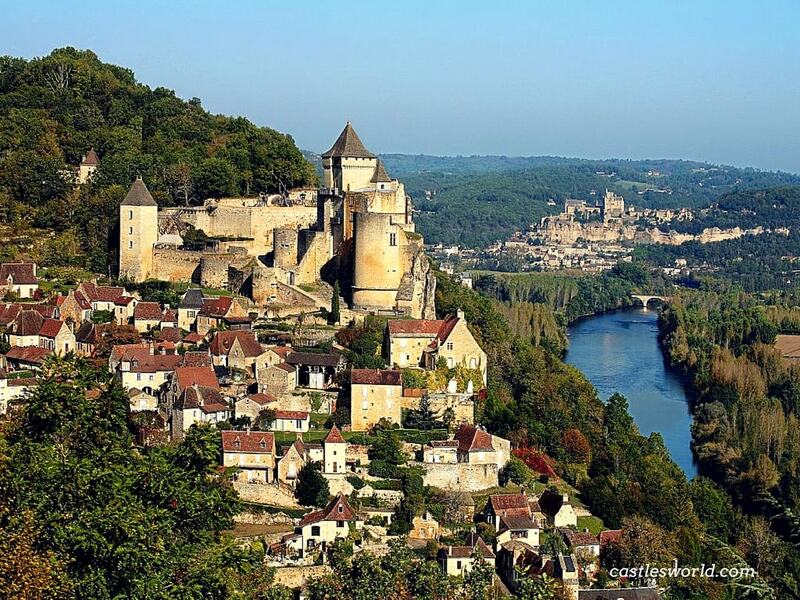 There are also splendid views of the Dordogne valley and at chateau de Beynac, located across the river.